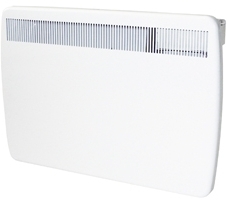 A panel heater with up-to-date technology and a sleek look, the Creda TPRIII100E is an excellent choice for commercial or residential use. The Creda includes a host of digitised buttons and functions available through the backlit LCD screen and audio feedback feature. 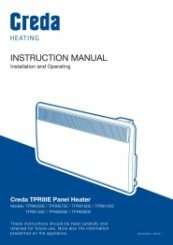 The TPR includes continuous heat modes: manual, frost-protect, off and setback Mode. It also possesses customisable 7-day timers to ensure confident comfort all year round. With a backup battery and safety features, the TPR will ensure you are never without heat. 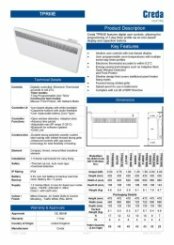 The adaptive start will intuitively know how long is needed to get your room temperature at where you want it to be, with an incredible accuracy of a fifth of a degree. A compact stylish ideal option for any modern property.